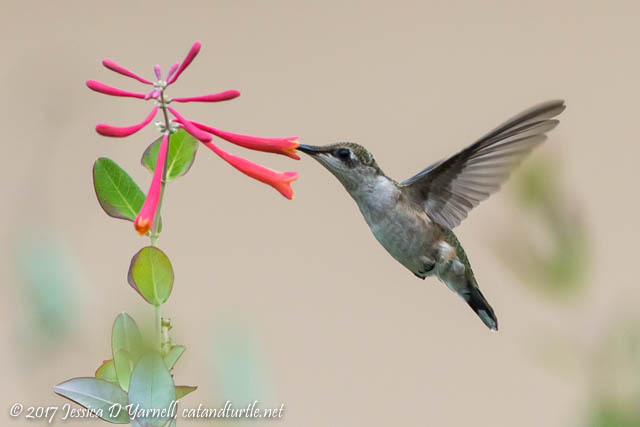 It was a dark evening with a lot of cloud cover, but I managed to get a high enough shutter speed to freeze her wings as she nectared at the honeysuckle. Planting honeysuckle over my photography blind was one of the best things I’ve done in the backyard! All the birds seem to like the vine for its flowers, berries, and protective cover. My American Beautyberry bush is beginning to put on berries. 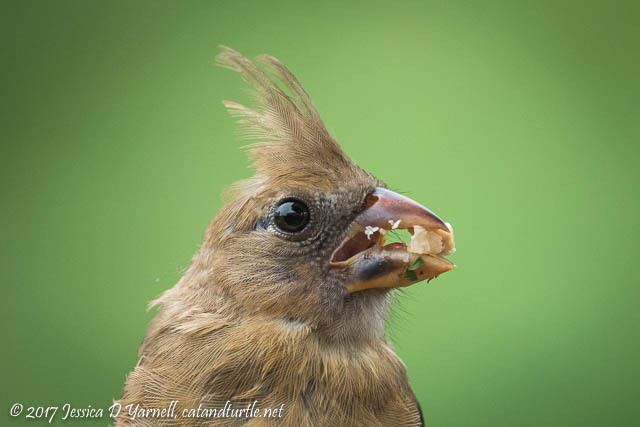 All summer I’ve been trying to get good pictures of the baby cardinals in the backyard. 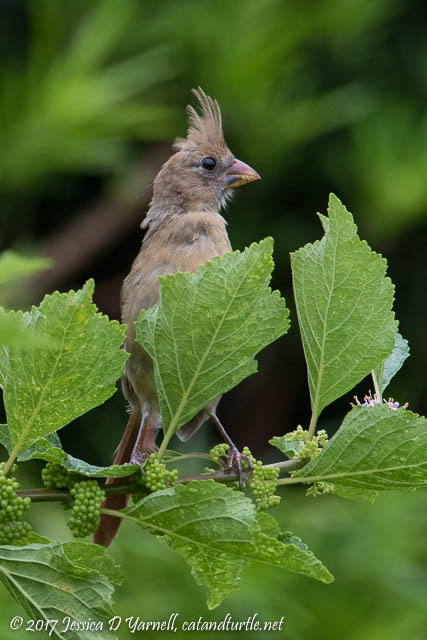 Finally I got a good opportunity as the juvenile cardinal posed on the beautyberry. Then the cardinal moved to the bird feeder and started eating suet. 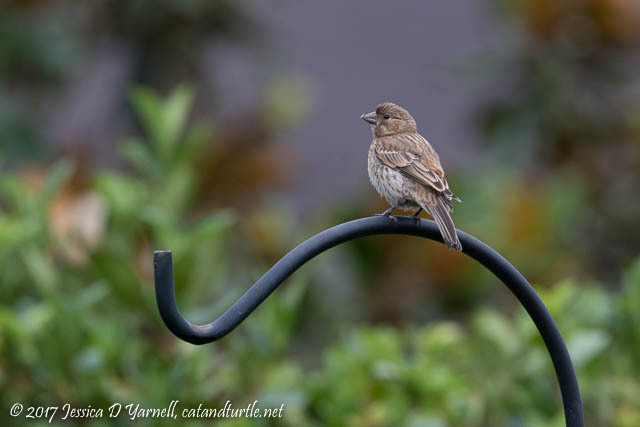 She flew so close to me that it was hard to focus on her, and I got some head shots as she stuffed her beak! 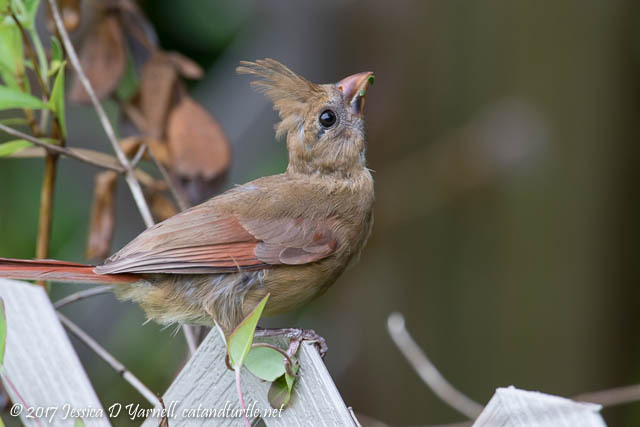 This last shot is another one of the baby cardinal. She flew over to the bird blind and started poking around. I think she was hunting insects. She has such an expression of curiosity on her face. So cute, and so perfect for her!